Growing up on my parents’ farm I have always been in contact with great produce as well as the passion for transforming good ingredients into amazing meals. Until the age of 14, when I began my career as a Chef, I always worked with my Dad on his farm and looked after the cattle, along with helping him to make cheese and salami. In my family, food was everything and everything was homemade, from the bread to dessert. Since I was very young, I always enjoyed spending time in the kitchen, that’s why even though I’m far away from my home now, I always find warmth and welcome in every kitchen of the world. I have worked in a few restaurants around Italy that had Michelin stars, such as La Terrazza del’hotel Eden in Rome, Ristorante L'Erba del Re in Modena, Osteria Del Povero Diavolo in Italy and IL Palagio of the Four Seasons Hotel in Florence. 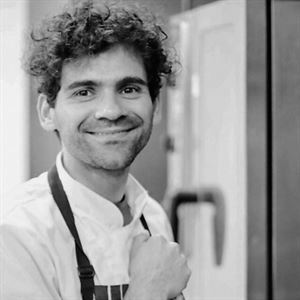 In 2009, I emigrated to Australia in Sydney, where I worked at Rockpool Bar and Grill and at Glass Brasserie by Luke Mangan. I ended my stay in Sydney working at the beautiful restaurant Pilu @ Freshwater. 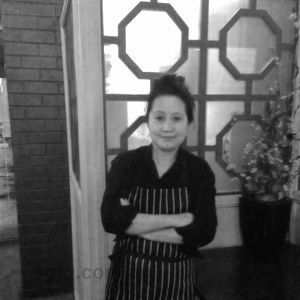 I moved to Melbourne in 2013 and worked at Rosetta at the Crown Casino, while I was organising the opening of my first restaurant in 2014 - L’Altro Mondo in Albert Park before selling it in 2017. 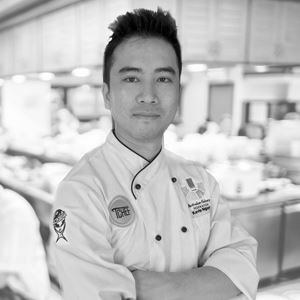 I sold my first restaurant because I needed a break and a restart, from scratch, especially to think about starting a new project where I could use all the skills I’ve learned. 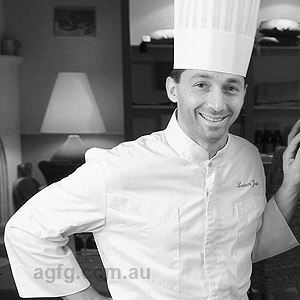 I lived in the Victorian country for over a year, to reset my body and mind while working at Sault in Daylesford as well as The Grande Hotel in Hepburn Springs, where I still cooperate with the owner, Ian Hawkins, to organise functions for birthdays and guest Chef Nights. Initially, I wanted to be a cyclist, but my parents couldn’t support me as it was a very expensive sport, so I decided to become a Chef. I went to hoteliers’ school in the morning and worked at night time. Simple, but with a modern and surprising twist. My dishes always use fresh ingredients and I never overpower them. Bitterness. I love the flavour, especially when processing artichokes. Researching ingredients, in my kitchen even the salt has a point. I love to cook ingredients which alone are good enough to make a dish. There are two men that I have to say thanks to for inspiring me and the first is Vito Mollica from the Four Seasons Hotel in Florence. He is a great cook and I learned from him how to manage people and how to create a team, as well as managing the costs of a business. Secondly, Santiago Fernandez from Voyager Estate in Margaret River. His style of food is my favourite (modern Spanish), and he really opened my mind and inspired me very much. Flour and water are the basic ingredients of my menu and without them, I could not work. What I really love about this business is that you’re always learning. You must always push yourself to stay at a high level and you have the chance to meet people from other countries and cultures where you can learn recipes and skills. Every dish from my menu is eyebrow-raising because, for me, it is important that when a dish arrives at your table, you eat with your eyes first. The signature dish at Giro D’Italia is the pumpkin ravioli with burnt butter, sage and amaretti and people are mad about our tiramisu. For a truly memorable dining experience where cuisine and atmosphere are paired as thoughtfully as food and wine, Carlton North diners head to Giro D'Italia on Rathdowne Street. Nestled in an Edwardian terrace building, a refined ambiance greets guests with dark timber panelling and deep green walls, adorned by framed black and white photos of Chef Domenico De Marco's cycling heroes. Named after the famous Italian cycle tour, the restaurant's seasonal menu explores texture, colour and taste with starters such as fried calamari, with squid ink aioli, zucchini and mint. 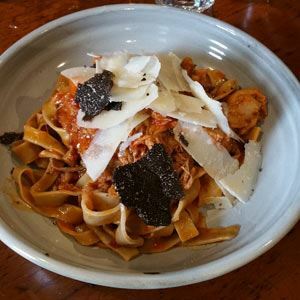 For the main affair, delve into the likes of housemade tortelli, with pumpkin, sage and amaretti; or perhaps crumbed pork, filled with ham, fontina cheese and French fries, be sure to leave room for their specialty tiramisu.